You will be welcomed to the Hotel Verbois, a Bourgeois Mansion from the 19th century built by a Parisian antique dealer for one of his mistresses. 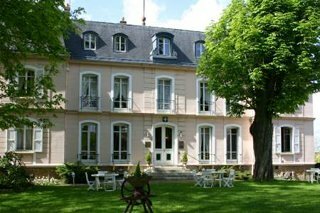 "Le Verbois" enjoys a privileged site in a park of 3 hectares dominating the Valley of Mauldre. Respecting the tradition of old "Le Verbois" treats all its customer like royalty, specializing in weddings, receptions, private and business functions.